Obtaining the right concentration of sugars in the must by evaporating off some of the water content is a common practice applied to systems working at high temperatures. 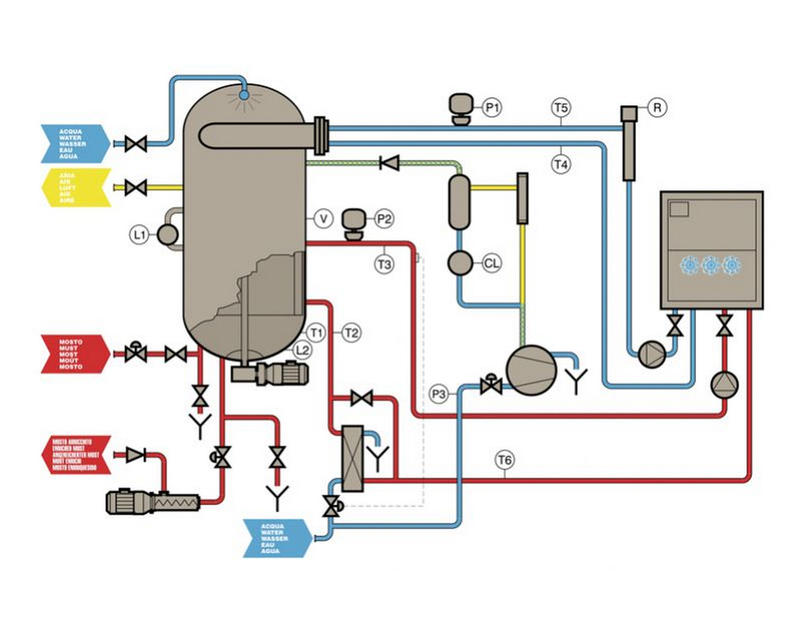 The important novelty of the ELT/S evaporators lies instead in the chance to obtain this evaporation process in a vacuum at low temperatures, thereby maintaining and improving the organoleptic features of the must. Thanks to their experience, the technicians at Della Toffola have succeeded in creating a system suitable for enriching both white and red wine musts, contributing to the production of top-quality, characteristic wines even in the event of a difficult grape harvest. 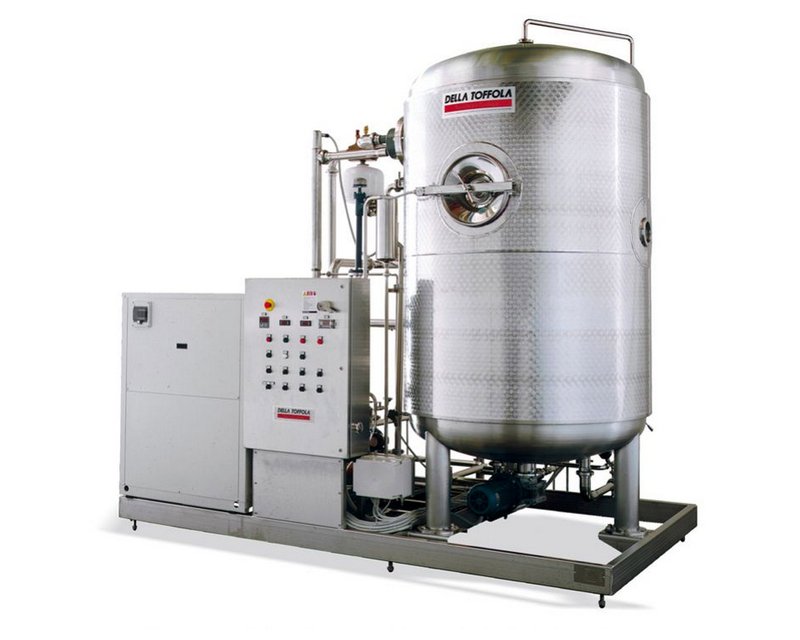 In the stand-alone version, the evaporator is installed on a stainless steel frame and consists of an evaporation tank, a water-condensed refrigerator unit, a vacuum pump, a plate exchanger, a water flow control system and an electric control panel.